I saw these paper peonies on Pinterest not too long ago and I finally decided to give them a try. I thought maybe I could make them with my students toward the spring or for Mother’s Day (early planning huh?). However, as pretty as the flower came out, there was just too much hot gluing action to make it safe for kids under the age of 10. 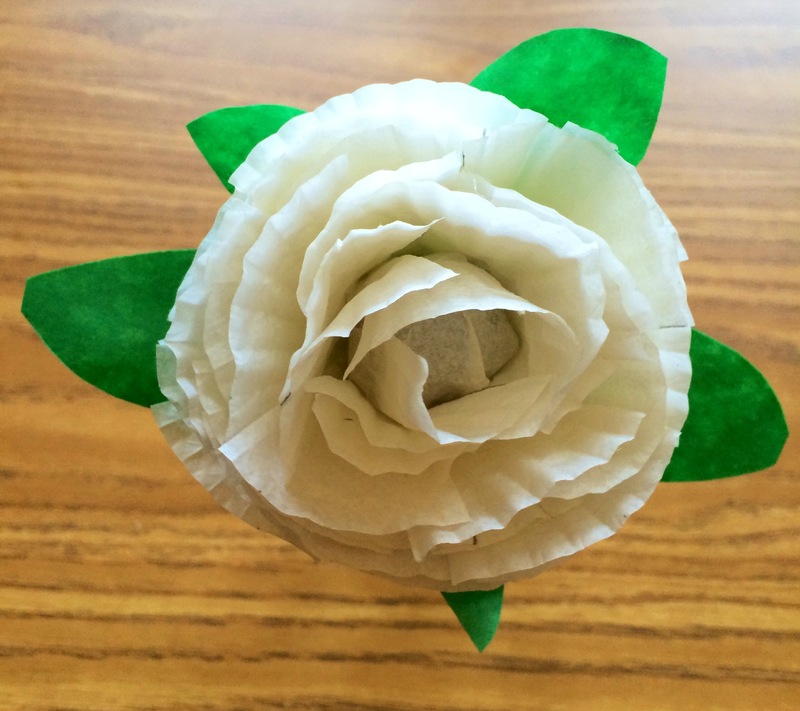 The craft was pretty simple to make once I organized the sizes of petals. I would say it took me about 20 minutes to creat one flower from start to finish. 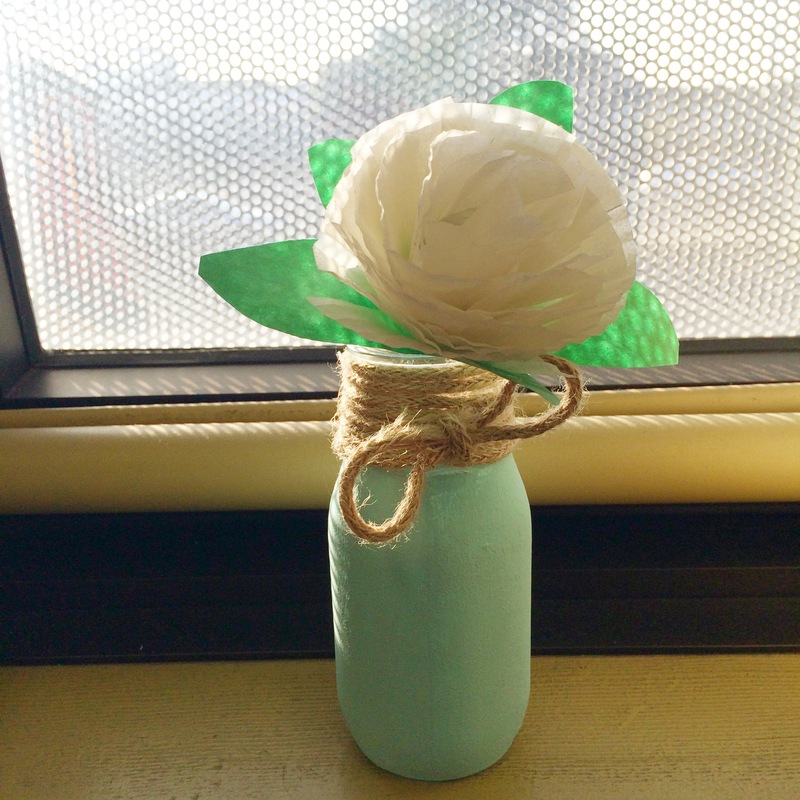 I also upcycled an old glass drink bottle to make a cute vase for my flower. 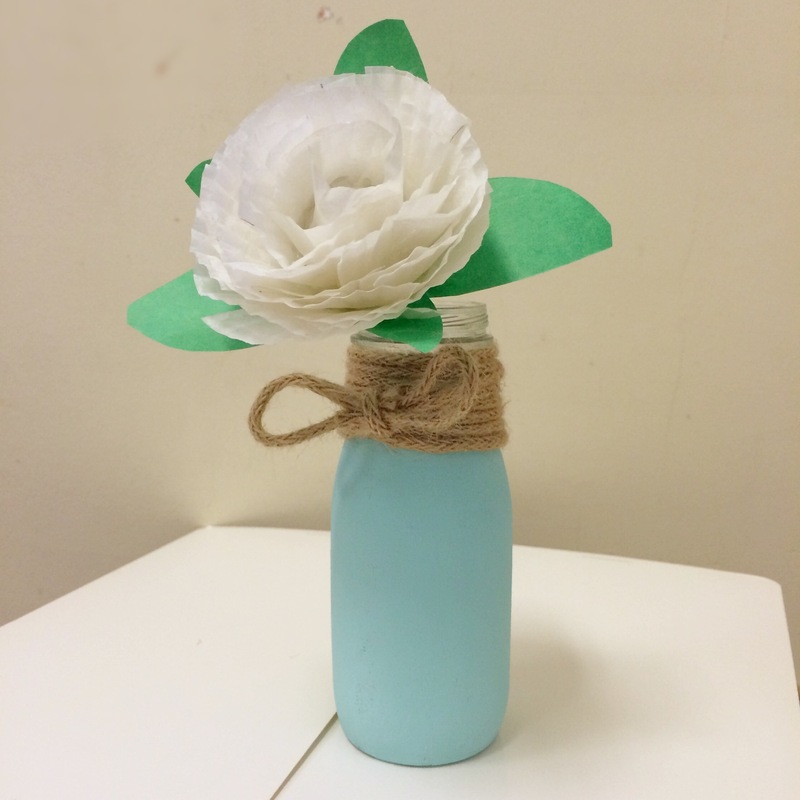 According to Michael’s Arts and Craft Store milk jugs are the next Mason jars. I painted the jar with some Craft Smart Acrylic Paint leaving a 2 inch gap from the lip of the jar (twine will cover the unpainted portion). I applied 3 coats of paint letting it dry in between coats. Later, I added the twine to the unpainted part of the vase and Tah Dah!!!. This cute little project is now sitting in my office.